un carnevale di pietra simula in mille guise l’infinito. Our winemaking tradition dates back to the 40s, a period in which, by conforming to the criteria of the time, we produced wine in large quantities to be sold “by the tank”. In the late 90s a project was initiated which aimed at producing quality wines. After a costly soil preparation with accurate analysis of geological, excavations, frangiture and grinding, we implanted has about 20 cultivars of vineyard: Negroamaro, Aglianico, Primitivo, Malvasia Bianca, Susumaniello; over the years it has begun a search for extinct indigenous variety that has led to new experimental facilities and a real ampelographic collection of Salento. in the center of the Salento peninsula. 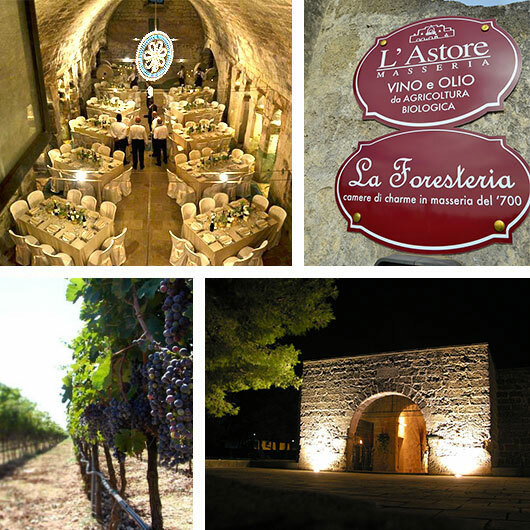 Today Masseria L’Astore revived in all its beauty for people with very different needs. This restored historic building with great care and respect for its original features, we have large outdoor spaces, perfect for wedding receptions and parties during the summer. 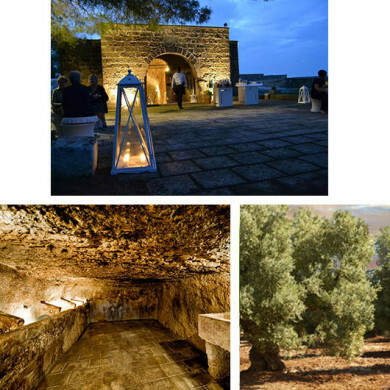 During the rest of the year, however, we offer our underground oil mill as a location, the ideal place to frame your special moments.